We are pleased to announce our acquisition of Talbot Timber Ltd. LBS signage is currently going up at the Haverfordwest , with Milford Haven & Tenby branches. Predominately a Pembrokeshire based business, Talbot Timber Ltd opened its doors in 1981 and over the past 35 years has established itself as a premier Roof Truss & Pozi Joist Manufacturer, Timber & Builders Merchant. Over that time, they have forged many long term partnerships with clients requiring creative solutions, on-time service and quality products. Talbot Timber provide a perfect fit for LBS Builders Merchants, with our businesses sharing many common values and attributes. Both Welsh businesses are family owned and are built upon strong partnerships with their customers and local communities. With the addition of three Builders Merchant Branches in, Haverfordwest, Milford Haven and Tenby, our network of branches is significantly enhanced providing an improved level of service across West Wales. Our new timber engineering facility in Pembroke Dock will enable us to offer an improved service on trusses and Pozi joists and an increased range of softwood, hardwood, fencing, plywood across our entire network of branches. 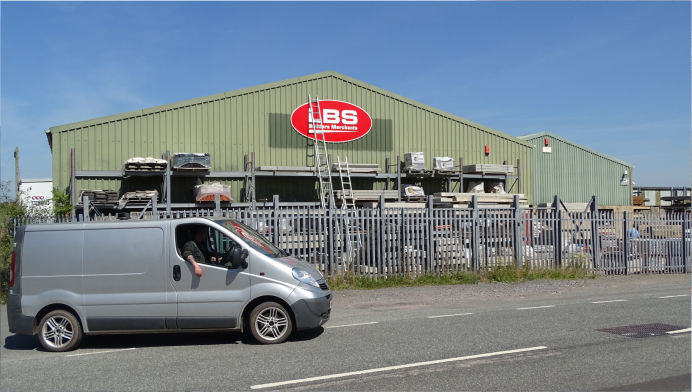 This acquisition in our 85th year, provides a great opportunity for the LBS Group to grow its business, offering new products and services to our customers across South Wales at this exciting time.